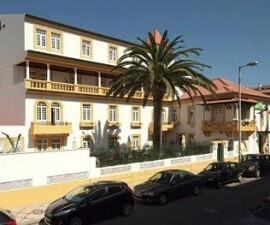 The Hotel Aveiro Center is a clean and friendly hotel located in the centre of Aveiro. 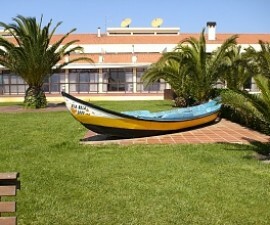 It offers excellent value for money in a small and friendly atmosphere, just a two-minute walk from some of the city’s primary attractions such as its canals, central shopping area and delicious fish and seafood restaurants that bring the flavours of the lagoon and nearby ocean right to your dinner table. 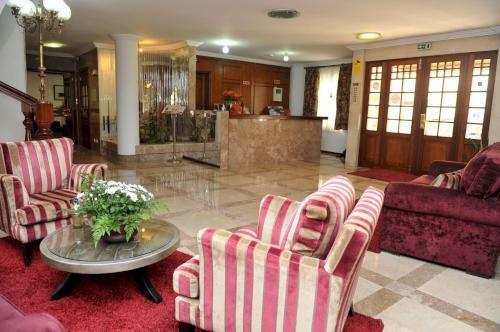 The Hotel Aveiro Center offers various different room options to suit your needs and budget. 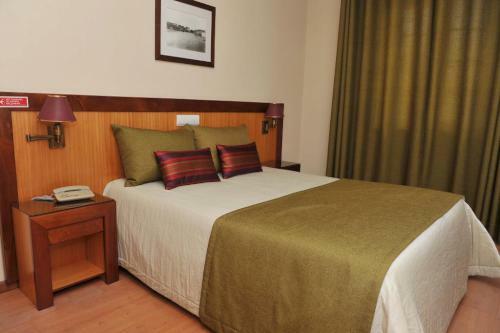 Standard rooms are decorated in attractive modern style, with wooden flooring, double-glazed windows and a work desk. 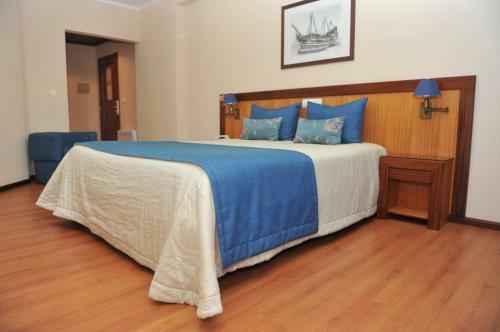 One room is especially adapted to suit guests in wheelchairs. 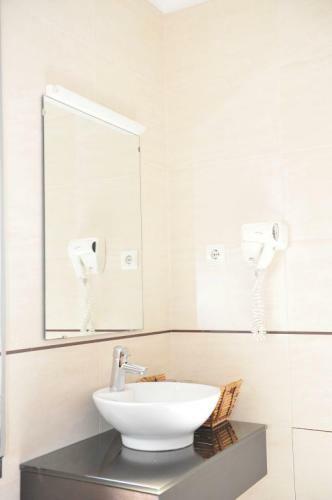 All rooms are equipped with telephone, Wi-Fi, flat-screen television with cable programming, tea and coffee-making facilities, and en-suite bathroom with hairdryer. 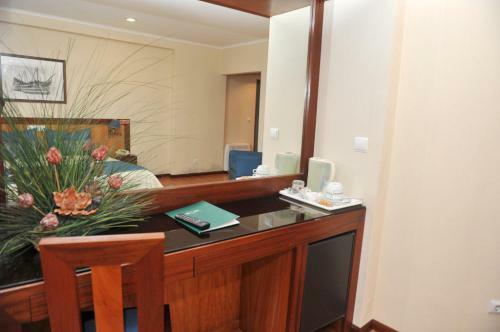 Superior rooms benefit from the addition of an in-room mini bar and are larger in area than standard rooms, while suites are ideal for families travelling with children or for guests who require additional space, for instance to work in their room, as they benefit from a separate living room with minibar and a large work desk. 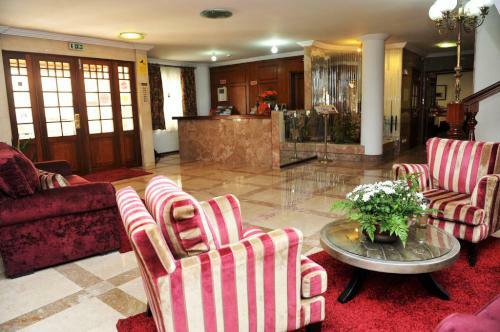 The hotel bar is open from 6PM until midnight seven days a week, and makes a cosy and relaxing area in which to wind down with a cool beer or a cup of coffee after a long day’s sightseeing in Aveiro, Portugal. There is a computer available for use in the bar area by all guests and the hotel also benefits from free Wi-Fi in all public areas, as well as in the individual rooms. 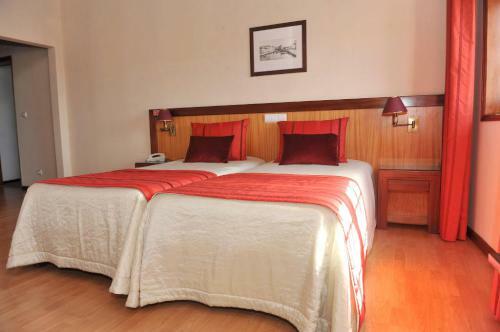 Guests staying at the hotel for several days, or who are passing through during a longer visit to Portugal, can make use of the hotel laundry facility, and there is also an iron available for use. 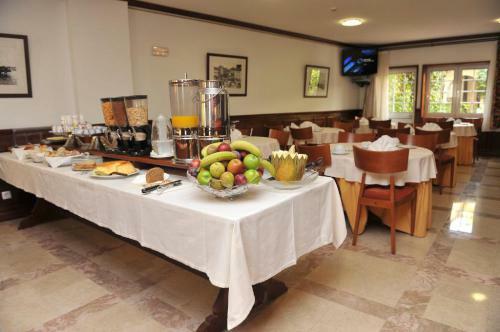 Breakfast is served buffet-style in the breakfast room or continental style in your room. 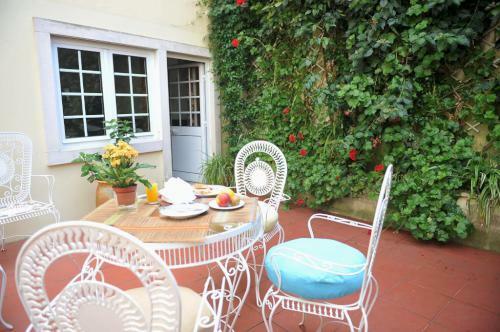 The buffet is plentiful, and makes the perfect start to your day exploring the delights of this colourful city in west-central Portugal. Choose from freshly baked bread, cakes and pastries, along with fresh fruit, juices, cereals and hot options such as bacon. Breakfast is served from 7:30AM to 10:30AM Monday to Saturday and from 8AM to 10:30AM on Sunday. 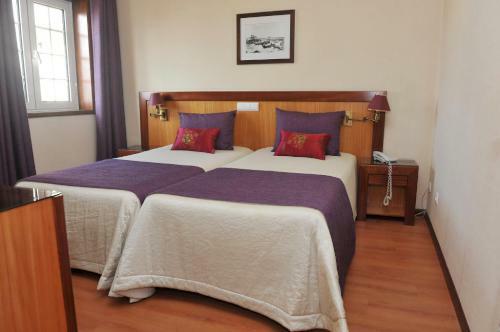 The Hotel Aveiro Center is helpfully located within easy reach of the motorway, meaning that the attractions in the local area are easily accessed. Take a day to leave Aveiro city centre behind and explore the local beaches or head even further afield, to the historic attractions of Porto, Coimbra and the ancient city of Viseu.